Who, Doesn’t Love, Mr. Grinch?! 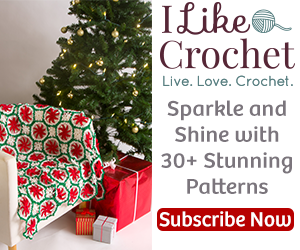 Also note: If you have any problems or questions with any area of this pattern, or if you just want to download the FREE pdf downloadable file for this pattern, come on over to YarnWars Group on Facebook where you will find amazing people from crochet to knit, great support and a place to show us your creations! YarnWars has NO AFFILIATION to The Grinch, Dr. Seuss or any affililates of. If you would like to make a smaller Grinch doll, why not, down-size your hook, or substitute SC for HDC in your body, then shortening your arm and leg length! Keresa, the pattern is all there, it could be that you need to click on a different page for it. The pattern is not all on one page as it was pretty long. Thanks! Grinch – is row 4 of the body sc or hdc? Curious since all other stitches in body are hdc. Thank you for pointing that out Sandy! Yes, that should be hdc 😊 I’ll get in and change that now. Thanks so much and have a wonderful day! I don’t understand how to make the hair, fingers and toes. Can you help me? Hi Candace! I have a full video tutorial for this project.. if you skip to approximately 34 minutes in the video located here: https://youtu.be/Es6vUS0LMaA you will see how I do the hands and feet. The hair is the same fashion only with less yarn which should be towards the end of the video I believe. Have a great day! Help! I love your pattern but I can’t find page two, with the legs and arms anywhere. Please help I want to make this for this Christmas. Thank you so much. Never mind, finally found it. Thank you . I know you stated that you found it in your follow up, but for those struggling to find the next sections, there should be numbers just below where the pattern on a page ends indicating next page =) Thanks for your kind feedback Peggy! Thank you for this adorable pattern, my eldest son (47) loves the Grinch!! I am Getting ready to make one. I will be making it smaller to go with my Elf on the shelf. Thank you so much. I love your grinch pattern. I’ve made one and now have to make one for all three of my daughter’s. I love the grinch! Thank you for the pattern. I am making mine using size 10 thread. Can’t wait till its done! Do you make the single crochet base for the hair as well or just make the tassels on the head? Hi Zeta! Please note the numbered pages at the bottom of each page. There are a few pages for the Grinch. You can download and print a pdf of this pattern in our Facebook group at: http://www.facebook.com/groups/yarnwars Thanks! Do you know how hard it is to get a GRINCH Knitting Pattern…. Hi, how much red heart super saver green yarn do you need ? Hi Eva! The Grinch is both on the YarnWars website, (you can do a search for Grinch) or in the YarnWars group Files tab. Make sure you are actually in the group, http://www.facebook.com/groups/yarnwars . There are a couple of pages and it is an older pattern so you might have to click to show more. Thank you! THANK you so much for the pattern!! I believe I used an old, no longer available RedHeart.. I think it was avacado, but there are so many better greens out there! You can go with an even brighter green and get so much closer to the Grinch than I did ♥ Thank you!! I have not been able to locate the rest of the pattern past the body… I don’t have anything past page 1. I need the pattern for the arms. I can try watching the you tube video. Thanks!